简介: 5.33 focuses on advanced experimentation, with particular emphasis on chemical synthesis and the fundamentals of quantum chemistry, illustrated through molecular spectroscopy. The written and oral presentation of experimental results is also emphasized in the course. 简介: This course is designed to look at the topics covered in advanced high school chemistry courses, correlating to the standard topics as established by the American Chemical Society. Engaging instruction and supplemental video demonstrations are designed to help prepare students for college level chemistry. 简介: This seminar will be a scientific exploration of the food we eat and enjoy. Each week we shall have a scientific edible experiment that will explore a specific food topic. This will be a hands-on seminar with mandatory attendance of at least 85%. Topics include, but are not limited to, what makes a good experiment, cheese making, joys of tofu, food biochemistry, the science of spice, what is taste? 简介: This course deals with the application of structure and theory to the study of organic reaction mechanisms: Stereochemical features including conformation and stereoelectronic effects; reaction dynamics, isotope effects and molecular orbital theory applied to pericyclic and photochemical reactions; and special reactive intermediates including carbenes, carbanions, and free radicals. 简介: If chemistry is the science of stuff, then analytical chemistry answers the question: what is it? And how much of it do you have? This course teaches how to do this with instrumental analysis! 简介: The course, which spans two thirds of a semester, provides students with a research-inspired laboratory experience that introduces standard biochemical techniques in the context of investigating a current and exciting research topic, acquired resistance to the cancer drug Gleevec. Techniques include protein expression, purification, and gel analysis, PCR, site-directed mutagenesis, kinase activity assays, and protein structure viewing. 简介: This course is designed to cover subjects in advanced high school chemistry courses, correlating to the standard topics as established by the American Chemical Society. This course is a precursor to the Advanced Chemistry Coursera course. Areas that are covered include atomic structure, periodic trends, compounds, reactions and stoichiometry, bonding, and thermochemistry. 简介: 5.451 is a half-semester introduction to natural product biosynthetic pathways. The course covers the assembly of complex polyketide, peptide, terpene and alkaloid structures. Discussion topics include chemical and biochemical strategies used to elucidate natural product pathways. 简介: This introduction to fundamental chemical concepts of atomic and molecular structure will emphasize the development of these concepts from experimental observations and scientific reasoning. 简介: This course is the second semester of the two semester sequence, Chemistry Concept Development and Application. This course will cover the topics of a typical second semester General Chemistry course at most colleges and universities. We will use the Chemistry Concept Development Study approach, developed and used in our courses at Rice and used in Part I of this course. 简介: This course covers the following topics: X-ray diffraction: symmetry, space groups, geometry of diffraction, structure factors, phase problem, direct methods, Patterson methods, electron density maps, structure refinement, how to grow good crystals, powder methods, limits of X-ray diffraction methods, and structure data bases. 简介: This course in crystal structure refinement examines the practical aspects of crystal structure determination from data collection strategies to data reduction and basic and advanced refinement problems of organic and inorganic molecules. 简介: "Energy, Environment and Society" is an opportunity for first-year students to make direct contributions to energy innovations at MIT and in local communities. The class takes a project-based approach, bringing student teams together to conduct studies that will help MIT, Cambridge and Boston to make tangible improvements in their energy management systems. Students will develop a thorough understanding of energy systems and their major components through guest lectures by researchers from across MIT and will apply that knowledge in their projects. Students are involved in all aspects of project design, from the refinement of research questions to data collection and analysis, conclusion drawing and presentation of findings. Each student team will work closely with experts including local stakeholders as well as leading technology companies throughout the development and implementation of their projects. Projects in this course center on renewable energy and energy efficiency. 简介: 5.32 involves more advanced experimental work than 5.310 or 5.311. The course emphasizes organic synthesis assisted by chiral catalysis, purification, and analysis of organic compounds employing such methods as IR, 1D and 2D NMR, UV spectroscopies and mass spectrometry, and thin layer and non-chiral and chiral gas chromatography. In 5.32, experiments also involve enzyme purification, characterization and assays, as well as molecular modeling in organic synthesis and in biochemical systems. 简介: Organic chemistry course covering intermediate topics in structure and reactivity with emphasis on electronic structure, pericyclic reactions and aromatic heterocycles. 简介: Organic chemistry course covering intermediate topics in structure and reactivity with special applications to the life sciences. 简介: This course is the first part of a modular sequence of increasingly sophisticated (and challenging) laboratory courses required of all Chemistry majors: 5.35 Introduction to Experimental Chemistry, 5.36 Biochemistry and Organic Laboratory, 5.37 Organic and Inorganic Laboratory, and 5.38 Physical Chemistry Laboratory. This course provides students with a survey of spectroscopy, and introduces synthesis of coordination compounds and kinetics. 简介: This course, which spans a third of a semester, provides students with experience using techniques employed in synthetic organic chemistry. It also introduces them to the exciting research area of catalytic chiral catalysis. 简介: Gain a rigorous introduction to physical chemistry suitable for undergraduates starting university. The course provides a unique, in-depth introduction to the three main pillars of physical chemistry: thermodynamics, kinetics and quantum mechanics. 简介: 5.311 is the first of a three-term laboratory subject sequence for chemistry majors. Experimental work emphasizes development of fundamental laboratory skills and techniques: volumetric and colorimetric analysis; nuclear magnetic resonance; preparation, purification, and characterization of chemical substances; and data analysis. 简介: This is a organic chemistry course surveying introductory topics in structure and reactivity with an emphasis on structural fundamentals including electronic structure, conformation and stereochemistry. 简介: Organic chemistry course surveying introductory topics in structure and reactivity with an emphasis on elementary reaction mechanisms. 简介: 5.73 covers fundamental concepts of quantum mechanics: wave properties, uncertainty principles, Schrödinger equation, and operator and matrix methods. Basic applications of the following are discussed: one-dimensional potentials (harmonic oscillator), three-dimensional centrosymmetric potentials (hydrogen atom), and angular momentum and spin. The course also examines approximation methods: variational principle and perturbation theory. 简介: 5.73 covers fundamental concepts of quantum mechanics: wave properties, uncertainty principles, Schrodinger equation, and operator and matrix methods. Basic applications of the following are discussed: one-dimensional potentials (harmonic oscillator), three-dimensional centrosymetric potentials (hydrogen atom), and angular momentum and spin. The course also examines approximation methods: WKB method, variational principle, and perturbation theory. 简介: This course covers time-dependent quantum mechanics and spectroscopy. Topics include perturbation theory, two-level systems, light-matter interactions, relaxation in quantum systems, correlation functions and linear response theory, and nonlinear spectroscopy. 简介: This course covers topics in time-dependent quantum mechanics, spectroscopy, and relaxation, with an emphasis on descriptions applicable to condensed phase problems and a statistical description of ensembles. 简介: This course deals with the experimental and theoretical aspects of chemical reaction kinetics, including transition-state theories, molecular beam scattering, classical techniques, quantum and statistical mechanical estimation of rate constants, pressure-dependence and chemical activation, modeling complex reacting mixtures, and uncertainty/sensitivity analyses. Reactions in the gas phase, liquid phase, and on surfaces are discussed with examples drawn from atmospheric, combustion, industrial, catalytic, and biological chemistry. 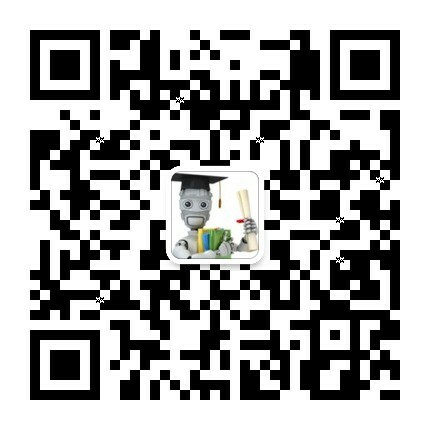 简介: This site features detailed descriptions of the five experiments completed by students in the course during the semester: unknown amino acid, ferrocene, essential oils, potentiometric titration, and kinetics. 简介: 5.12 is an introduction to organic chemistry, focusing primarily on the basic principles to understand the structure and reactivity of organic molecules. Emphasis is on substitution and elimination reactions and chemistry of the carbonyl group. The course also provides an introduction to the chemistry of aromatic compounds. 简介: This subject deals primarily with the basic principles to understand the structure and reactivity of organic molecules. Emphasis is on substitution and elimination reactions and chemistry of the carbonyl group. The course also provides an introduction to the chemistry of aromatic compounds. 简介: This intermediate organic chemistry course focuses on the methods used to identify the structure of organic molecules, advanced principles of organic stereochemistry, organic reaction mechanisms, and methods used for the synthesis of organic compounds. Additional special topics include illustrating the role of organic chemistry in biology, medicine, and industry. 简介: This course covers modern and advanced methods of elucidation of the structures of organic molecules, including NMR, MS, and IR (among others). The fundamental physical and chemical principles of each method will be discussed. The major emphasis of this course is on structure determination by way of interpreting the data (generally in the form of a spectrum or spectra) that each method provides. 简介: This course examines important transformations of organotransition-metal species with an emphasis on basic mechanisms, structure-reactivity relationships, and applications in organic synthesis. 简介: This course presents an introduction to quantum mechanics. It begins with an examination of the historical development of quantum theory, properties of particles and waves, wave mechanics and applications to simple systems — the particle in a box, the harmonic oscillator, the rigid rotor and the hydrogen atom. The lectures continue with a discussion of atomic structure and the Periodic Table. The final lectures cover applications to chemical bonding including valence bond and molecular orbital theory, molecular structure, spectroscopy. 简介: This course covers elementary statistical mechanics, transport properties, kinetic theory, solid state, reaction rate theory, and chemical reaction dynamics. 简介: The course develops analytic problem solving skills within a chemistry context in order to facilitate a successful transition to the rigor and pace of college-level General Chemistry—a key gateway class required for many undergraduate majors. 简介: This course provides an introduction to the chemistry of biological, inorganic, and organic molecules. The emphasis is on basic principles of atomic and molecular electronic structure, thermodynamics, acid-base and redox equilibria, chemical kinetics, and catalysis. 简介: 5.112 is an introductory chemistry course for students with an unusually strong background in chemistry. Knowledge of calculus equivalent to MIT course 18.01 is recommended. Emphasis is on basic principles of atomic and molecular electronic structure, thermodynamics, acid-base and redox equilibria, chemical kinetics, and catalysis. The course also covers applications of basic principles to problems in metal coordination chemistry, organic chemistry, and biological chemistry. 简介: This course provides a systematic presentation of the chemical applications of group theory with emphasis on the formal development of the subject and its applications to the physical methods of inorganic chemical compounds. Against the backdrop of electronic structure, the electronic, vibrational, and magnetic properties of transition metal complexes are presented and their investigation by the appropriate spectroscopy described. 简介: This course covers the principles of main group (s and p block) element chemistry with an emphasis on synthesis, structure, bonding, and reaction mechanisms. 简介: The goal of this course is to illustrate the spectroscopy of small molecules in the gas phase: quantum mechanical effective Hamiltonian models for rotational, vibrational, and electronic structure; transition selection rules and relative intensities; diagnostic patterns and experimental methods for the assignment of non-textbook spectra; breakdown of the Born-Oppenheimer approximation (spectroscopic perturbations); the stationary phase approximation; nondegenerate and quasidegenerate perturbation theory (van Vleck transformation); qualitative molecular orbital theory (Walsh diagrams); the notation of atomic and molecular spectroscopy. 简介: This course discusses the principles and methods of statistical mechanics. Topics covered include classical and quantum statistics, grand ensembles, fluctuations, molecular distribution functions, other concepts in equilibrium statistical mechanics, and topics in thermodynamics and statistical mechanics of irreversible processes. 简介: This introductory physical chemistry course examines the connections between molecular properties and the behavior of macroscopic chemical systems. 简介: This course focuses on general methods and strategies for the synthesis of complex organic molecules. Emphasis is on strategies for stereoselective synthesis, including stereocontrolled synthesis of complex acyclic compounds. 简介: This participatory seminar focuses on the knowledge and skills necessary for teaching science and engineering in higher education. This course is designed for graduate students interested in an academic career, and anyone else interested in teaching. Readings and discussions include: teaching equations for understanding, designing exam and homework questions, incorporating histories of science, creating absorbing lectures, teaching for transfer, the evils of PowerPoint, and planning a course. The subject is appropriate for both novices and those with teaching experience.